OSWIECIM, POLAND. There is the face of a woman, looking at me, ever since I met her eyes for the first time. She is looking at me in one of the pictures in a memorial hall in Auschwitz I, the original camp. The photo shows her as she is waiting with her children and a group of women at the selection site. Her face shows disgust, fear, distress, and she seems to know what will happen to her and her children as she looks into the camera. Her face appears so clearly in my heartmind. I see her face when I am listening to the stories of a woman living in Kongo today, giving a interview to a western journalist. Also in the family arriving as refugees, exhausted, on the shores of Italy, coming from Eritrea. I see it in the activist couple who escaped from a prison in Turkey. From the mother whose whole family was killed, now speaking out at the tribunal in Den Haag, telling what happened to them during the war in Bosnia-Herzegovina. I see her face as well in the women remembered at the Ravensbrück museum, and in the faces of my friends who still treasure the key to their house in Palestine that they had to leave so long ago. Bearing Witness at Auschwitz has made me much more aware, personal and political. I feel the energy of this woman as my own, when I stand for human rights, writing letters to bring refugees to a safer place, open my door to people who escaped from dangerous places, and when I beg for relief projects for people in need. I also follow the call to just listen, to listen to the voices of all the courageous people who join in a group with the wish to drop deeply into the essence, what it means to be a human among humans, looking at what we are as individuals and as a collective. The retreat also gives me the gift of listening to the voices of the earth, of the sky and the wind. This deep listening reminds me of my duty, to take my place humbly in the circle of life and be present and open for what is, moment by moment. Roshi Barbara Salaam Wegmüller has been a student of dreamwork, Sufism, Zen and Tibetan Buddhism and dharma successor of Bernie Glassman. Since 2005 she has been a spirit holder at Zen Peacemakers Auschwitz-Birkenau Bearing Witness Retreat as well as a leader and participant in the Zen Peacemakers retreats in Rwanda (2014), the Black Hills (2015) and Bosnia-Herzegovina (2016). 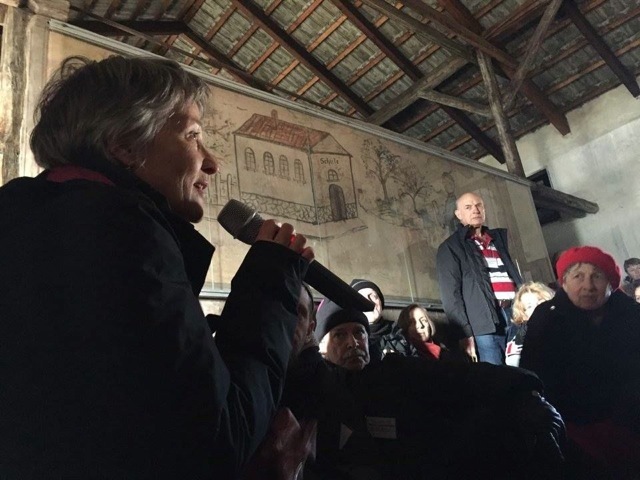 Together with her husband Roshi Roland Yakushi Wegmüller, She is facilitating the Spiegel Sangha in Switzerland, and serves the local Swiss and refugee community.